Harvey led a successful professional life, but had always neglected his physical appearance. The man in the mirror led Harvey to start lifting and transform his physique! Age: 37 Height: 5'5" Weight: 140 lbs. I started working out in March 2008. I wanted to build the best body possible. At that time, I had reached a great point of success in my professional life, but felt empty in terms of my body. I never exercised, smoked at least one pack of cigarettes per day, and ate whatever I wanted. Despite this, I remained relatively lean because I am the classic shorter ectomorph. As I looked at myself in the mirror, I knew I needed a change and bodybuilding had always been something that fascinated me. So, at first, I actually tried to become a runner, but soon realized that I loved bodybuilding -- the diet, supplementation, and lifting. 35 minutes Mix in running a few times. I should note that I actually do re-feeds quite often. Sometimes it consists of having an extra MRB, while other times I eat a Chinese beef dish (I ask for little sauce) because it keeps me able to continue with my diet for months. I firmly believe that supplements can be helpful, but you have to try them to see if they work for you. I encourage people to be careful about reading supplement reviews, especially those which condemn a particular product. Everybody reacts differently to supplements. The reason I love bodybuilding is that it helps me order my day. I enjoy planning my meals, workouts and contest preparation. I think it provides direction and goals in my life. I love watching my physique change during contest preparation and seeing how much progress I have made since the previous contest. And, of course, I love the look, but I also treasure how it helps with self-esteem and confidence as well. Harvey traded cigarettes for a smoking back! I am motivated because I want to live a healthy and very focused/goal-oriented lifestyle. I have several online friends who take the time every day to check on me and ask me about my workouts and diet and this helps me to keep going and to be focused. Last, I say competing also motivates me to stick to my diet and stay sharp. I think I was motivated by wanting to live a healthy lifestyle at first. I just wanted to look and feel much better. As time has passed, I am motivated to achieve my goals by competing. The last thing that made me want to achieve my goals is the fear of failure. I do not want to come up short and not reach my goals. So, I try to set realistic goals for gaining muscle or competing and I follow through until they are achieved. Right now, I am focused on building the best body I can by June 10, 2012. I set my diets in time periods of eight weeks to see what I have and where I need to improve. 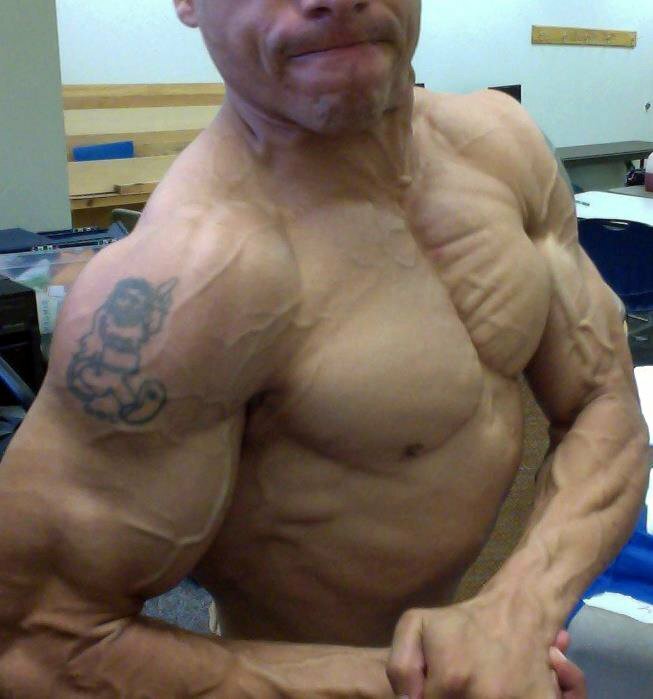 I am nationally qualified in the NABBA and I might compete at the Junior Nationals or the Nationals. I would like to do a few shows at that level and see how it goes. I think the one tip I would offer other competitors is something I am still working on myself. It is so easy to overtrain, but that can lead to injury. 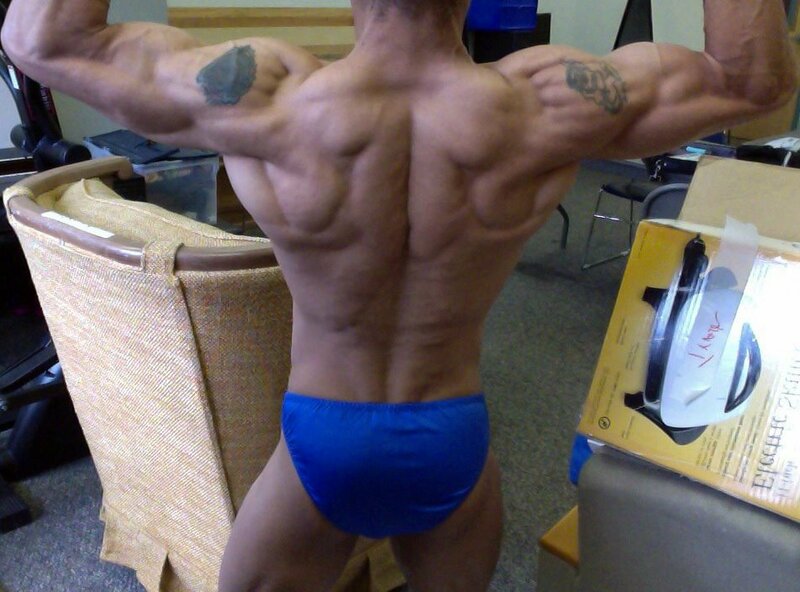 I actually hurt my shoulder in February and had to put off my contest plans. I implore people to make sure they get enough rest (that is taking days away from lifting, even if you just do cardio or nothing at all). Rest is essential to success. I have so many favorite bodybuilders, but I think those who inspire me include Lori Steele, Phil Heath, Debbie LeCuyer, Kai Greene, and Amy Puglise. Each of these individuals inspires me to hit the gym as hard as possible. Generally speaking, I like to use the forums to follow the contest prep. I don't post that often, but I do enjoy reading what others have to say. I also think the articles about dieting and supplements are so important and helpful. As for contest prep, of course, I read and rely on Layne Norton.